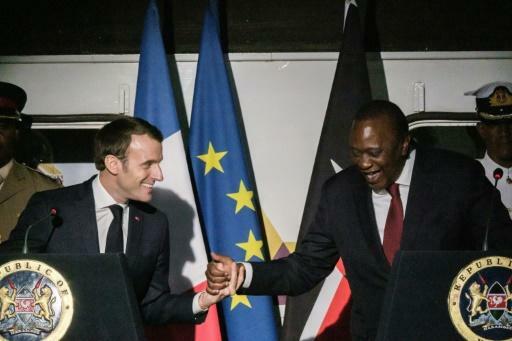 French President Emmanuel Macron and Kenyan counterpart Uhuru Kenyatta were among several heads of state in Nairobi for the fourth UN Environment Assembly -- a vast gathering of ministers, legal experts, charities and business leaders. The assembly aims to push countries to commit to slashing pollution and widening renewable energy, recycling and conservation. But it lacks the legal teeth to compel nations to act, and there is no prospect of it reaching a binding international action plan this week. "Current global statistics are quite sobering and projections for future generations are dire and demand urgent action," Kenyatta told delegates. "Climate change continues to be a major threat to sustainable development worldwide. And its impact places a disproportionately heavy burden on the poor and vulnerable." Thursday's One Planet Summit, also in Nairobi, saw a number of pledges for green investment in Africa -- a continent experiencing some of the worst impacts of climate change despite producing a tiny percentage of global greenhouse-gas emissions. "We need to act. We must put environment and biodiversity at the heart of the economy," Macron said. Earth is already experiencing fallout from its fossil fuel addiction, with climate change driving more frequent droughts, floods and superstorms fuelled by warmer, rising seas. Pollution from toxic and non-toxic materials is having a dire effect on global health, the UN said this week. At least eight million tonnes of plastic end up in our oceans every year, breaking up into micro-fragments that enter the marine food chain. 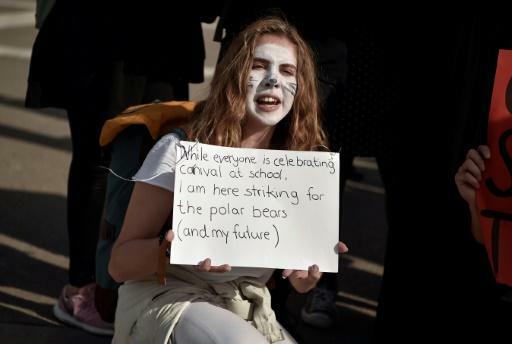 Macron was in Kenya -- the first-ever visit there by a French head of state -- a day before a global wave of school strikes by students demanding that governments act over the environment. "Young people are telling us 'you're not going fast enough'. And they're right, because we have been too slow," Macron said. "We all have to move: governments, big business, citizens."